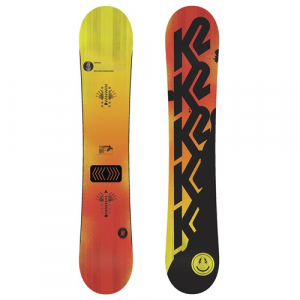 K2 Happy Hour Only $340! December 18, 2016 – As we roll into the 2016-2017 snowboard season, we get asked to recommend snowboards, a lot. This season we’re talking a lot about short and fat boards, but seem to keep recommending the K2 Happy Hour. As one of the original funky shaped modern snowboard, it has a very specific personality. It’s mostly flat, but with the K2 Lifted camber it provides pop and some catch free early rise. It is a true freestlye/all-mtn board. That is, it specializes in being fun in the park but can be ridden all mountain. Tweekend™ Blended Rocker – A revolutionary tweak to the ends of our industry leading Baseline technology. By extending the Baseline rocker all the way out to the absolute ends of the board, new ride-able surface is unlocked, giving you a bigger, more stable platform to press, float and land on. Lifted Baseline™ – Bringing a new level of pop to K2’s Baseline offering, Lifted is just what it sounds like. Taking the flat between the feet foundation that all K2 boards are built on and raised it. 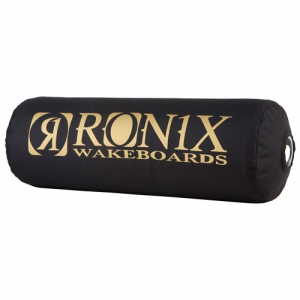 This brings in the pop of cambered boards while maintaining the neutrally weighted contact points that give you the straight tracking, effortless precision of a flat board. WH3 Core – Using the same wood lay up as the W2 core, K2’s WH3 adds two strips of Honeykomb™ material between the bindings and the rails. K2’s Honeykomb™ cores use a urethane-skinned Honeykomb™ for bonding strength and durability. Biaxial Glass – The classic structural laminate, biax glass provides smooth, all-purpose performance. Hybritech™ Construction – Hybritech™ is the most efficient way to make a snowboard without sacrificing one ounce of performance. Featuring sidewall along the running surface that flows into the nose and tail providing low swing-weight, optimized turn initiation, and durability.